Just the most Beautiful of the Disney Pincesses. Cinderella looks amazing in Hama and can be created in less than 10 minutes. 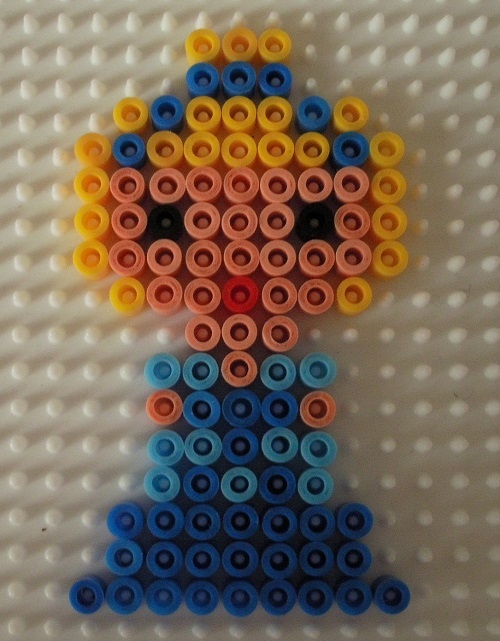 What you require to make Cinderella out of Hama Beads. Colours required – Here is a list of the colours you will require to make this Cinderella Pattern and the part number of the individual coloured packs. Of course the fairest of them all is Snow White, and you’ll have loads of fun cerating this very quick and simply Snow White Hama Bead Pattern. 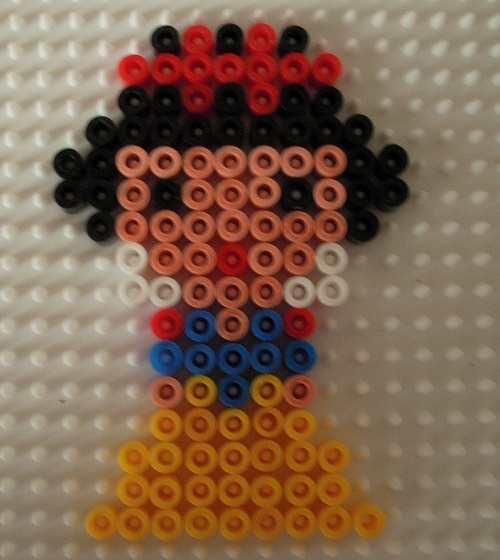 What you require to make Snow White out of Hama Beads. Colours required – Here is a list of the colours you will require to make this Snow White Pattern and the part number of the individual coloured packs.